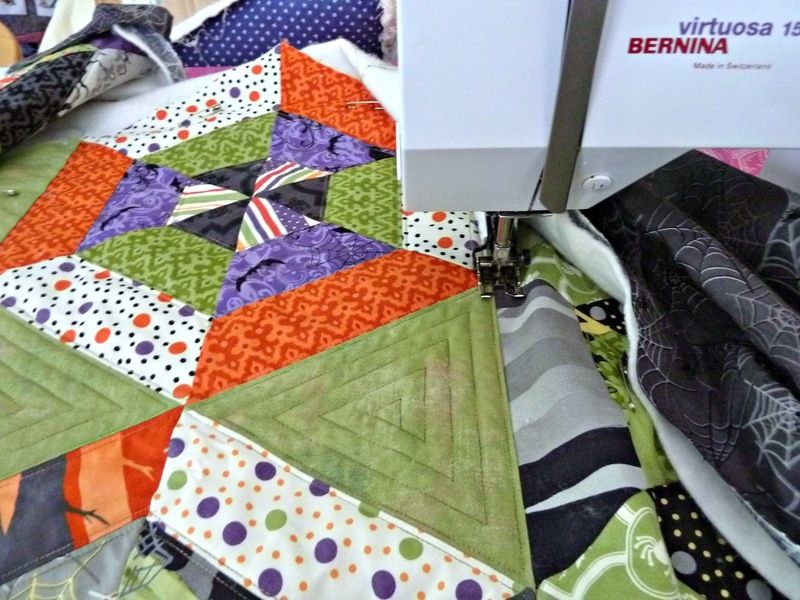 My original plan was to FMQ spiderwebs across the whole runner but after looking at it awhile I decided the quilting would just get lost. 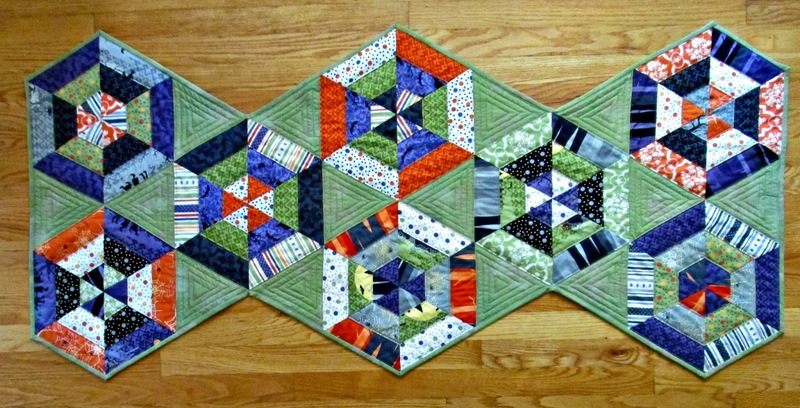 Instead, I just outlined the rows of the hexagons and then did spiraling triangles on the connectors. I love the effect, it almost looks 3D! Finished quilt is 28" x 60"
Fabrics: Haunted Mansion by Sanae Jellyroll. Green Grunge by basic grey. It's the perfect halloween runner! What a fabulous table runner!!! Fabulous is right!! The colours are quite striking! 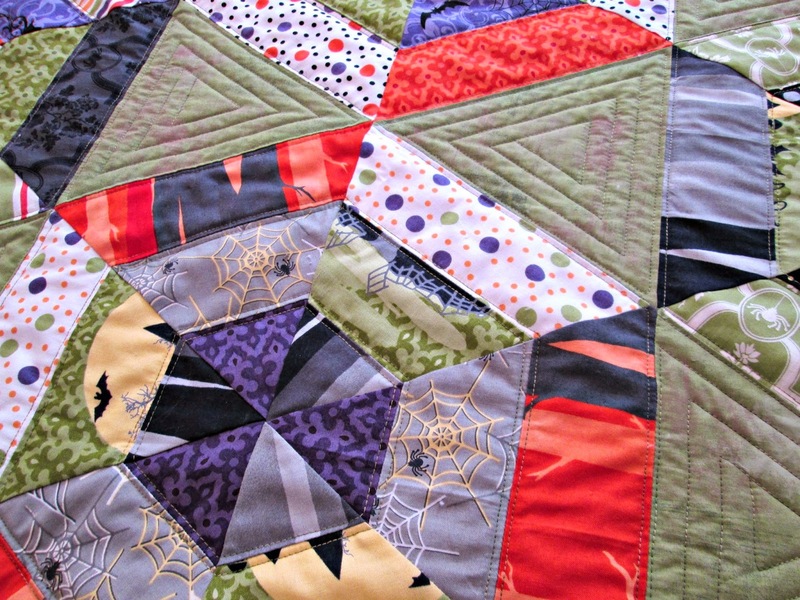 I always look forward to seeing what sort of halloween quilts you'll come up with.